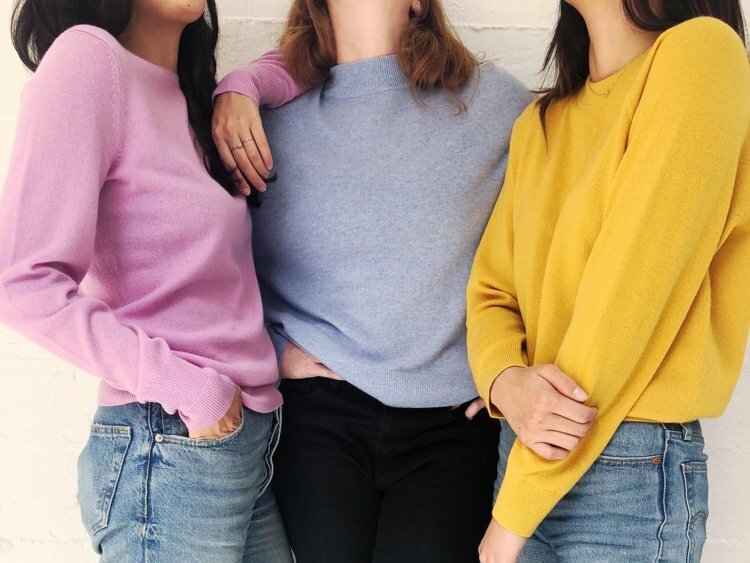 Are Cashmere Products Worth The Money? As we all long, cashmere products are really very costly. But a question often arises to the customers, ‘Are they worth the amount?’ Cashmere sweaters or products will be mostly seen worn by the rich and the noble class as it is quite difficult for the middle-class people to afford them for the mere sake of comfort and style. Following are some of the reasons why cashmere products are so costly and are really worth the price. Cashmere products provide enough warmth and comfort during the winter season. Wearing one coat would suffice your need. Thus it is wise to buy cashmere knitwear form the market which is costly as compared to the other woolen clothes. During the month of March, April and May, the specific goats which live in high altitudes generally shed their undercoats at the end of the winter season. The diameter of this material is generally thinner than the other kinds of products. This is one reason why they look thin but still provide enough warmth. Cashmere products are not easily available in the market. It is said that at least 10 adult goats are required to produce one cashmere coat. An adult goat can only produce only 100 grams of cashmere a year. Buy cashmere knitwear very cautiously in the markets. You might be easily fooled by the shopkeepers and you will end up buying the duplicate product. The processing procedure in itself is a long one and takes a lot of time and patience. After the collection of the wool from the goat, they are then sorted by the shepherds and the finest and softest part is chosen and kept separately. This part is real cashmere. This is the reason why this takes a lot of time and lot of effort to produce only one apparel of cashmere. Apart from being a long process, it is a difficult one as well. It takes around 73 processes to finalize a particular product. Some of the processes are; model inspection, cloth inspection, tailoring, plate making, weaving, ironing, etc. These are some of the reasons why cashmere products or the coats are so costly and the price is worth it. Thus, it is always advised that if you intend to buy cashmere knitwear, always know to check the level of originality of the product. You should also know the difference between the other materials and cashmere material before buying the right one. For example, there is a huge difference between camel coat, a cashmere coat, and woolen coat. Cashmere products are 100 % pure and have no animal fat, dust or mixture of other fabrics while wool can be obtained from any animal like sheep, angora and are not very pure. On the other hand, camel coats are generally made out of the hairs of the Bactrian camels and have the same process as that of the cashmere but can produce huge quantities, unlike cashmere.